The domestic unit on Friday slipped by 7 paise to close at 71.23, pressured by heavy foreign capital outflows and firming oil prices. The rupee on Monday opened 8 paise lower at 71.31 against the US dollar amid rise in crude oil prices. This was the third straight session of loss for the domestic currency. 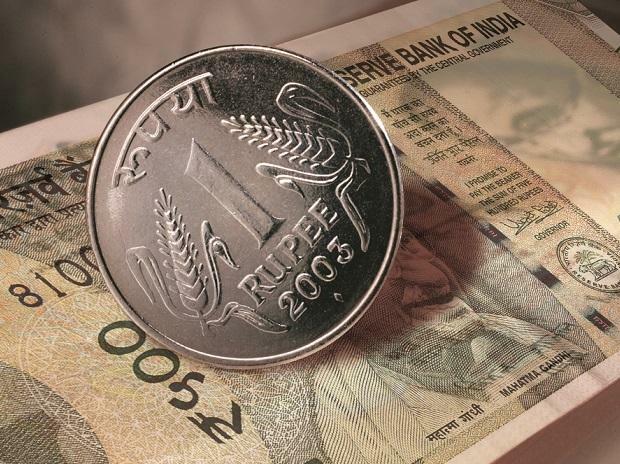 On a weekly-basis, the rupee registered a loss of 8 paise. Among the global factors, China-US trade talks and crude oil prices are likely to influence forex market sentiment. Moreover, market participants will also keep an eye on the Fed minutes to gauge a view for the greenback. "Today, USD/INR pair is expected to open at 71.45(Feb) and quote in the range of 71.20 and 71.70," said Gaurang Somaiya, Research Analyst(Currency) at Motilal Oswal Financial Services. On the equity front, foreign investors have put in over Rs 5,300 crore into the Indian stock market in the first half of this month, primarily on account of positive view on the Interim Budget 2019-20. On the global front, Asian stocks were firm in the early trade on Monday while oil prices hit a three-month high on OPEC cuts and US sanctions on Iran and Venezuela. US West Texas Intermediate (WTI) crude oil futures pushed through $56 per barrel for the first time this year, hitting $56.13 a barrel while International Brent crude futures hit a high of $66.78 per barrel.